There are no doubt many sad faces to see this spot go. When I saw Takumi's Facebook post this morning regarding it's closure, I was pretty taken a back. Why would a popular sushi restaurant off Kloof Street close down when it's ostensibly still in it's prime and has a solid base of loyal customers? Ben, Takumi's manager explain that it was simply a matter of Papa San's (Takumi's renowned sushi chef) contract coming to an end. He also mentioned that the rental contract for the space on Park Rd had come to an end. After we spoke to owner Wilhelm Kühn, he said it came down to 'commercial considerations'. The building owners upped the rent and it was too much for the restaurant to fork out. Both Ben and Wilhelm realise it's sad to see the restaurant dissolve, but alas the time had come, and Papa San also felt like it was a good time to have a break. But what now for Papa San? Ben assured Food24 that he would be on to a new sushi venture in the not too distant future. 'He's already been looking around for spaces' explained Ben. 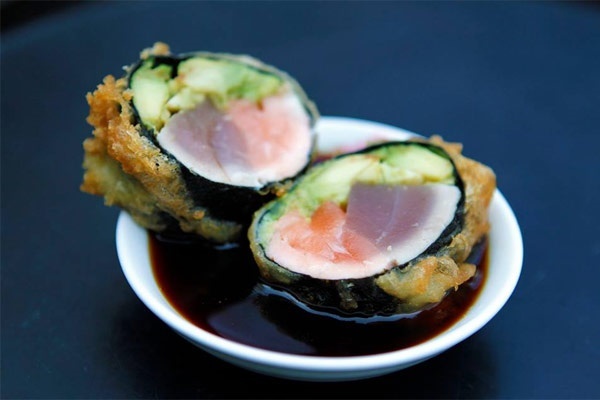 Some comforting news for those who love Papa San's big, inventive sushi creations. Wilhelm didn't say outright that it was the end for Takumi. 'For now let's call it dormant', he said. 'We realise we have a level of goodwill and loyal customers, but Takumi is closed for the 'foreseeable future'. We'll certainly miss the Takumi rolls, the healthy rolls and of course the Original Special. Wilhelm owns Tokara restaurant in Franschhoek. The Original Special at Takumi.